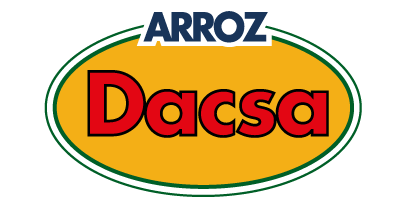 All rights of industrial and intellectual property of the website “www.dacsa.com” and subdomains, and its contents (texts, images, sounds, audio, video, design, creativity, software) are owned by Maicerías Españolas, S.A. (Dacsa) or, where appropriate, to third parties. The user can view all items, print, copy and store on the hard drive of your computer or any other physical support provided is uniquely and exclusively for personal and private use, being, therefore, strictly forbidden his commercial use, his distribution as well as his modification, alteration or decompilation. In relation to the services available to users through contact-forms or any other service which requires personal information, all data will be kept in the strictest confidence in line with current legislation. DACSA obeys this legislation regarding the data protection of his subscribers and keep them in the strictest confidence in accordance with the provisions of the spanish Ley Orgánica 15/99 of 13 December 1999 de Protección de Datos Personales.